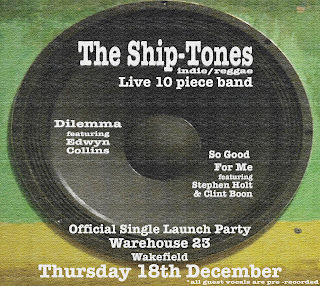 We are pleased to announce that will be releasing the debut single by The Ship-Tones. The single will be a AA side comprising of Dilemma (Feat. Edwyn Collins) and So Good For Me (Feat. Stephen Holt & Clint Boon) and will be released on Thursday 18th December with a launch party at Warehouse 23, Wakefield. Advance tickets priced at £3 are available below (it will be £5 OTD). 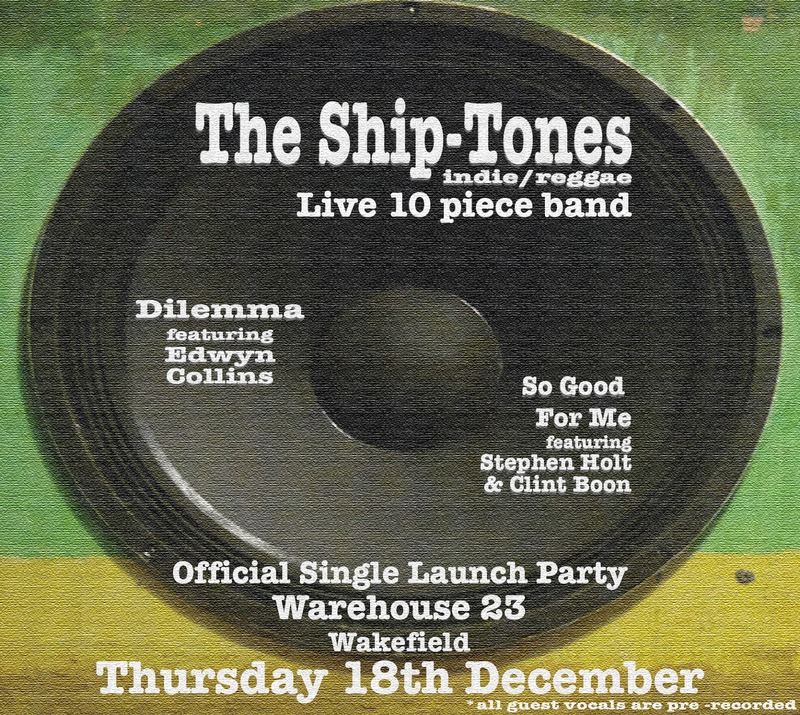 For those of you unaware of The Ship-Tones they an exciting new outfit from Leeds, re-working indie rock hits and uniting the vocals of the original front men from each band with a re-written and re-interpreted reggae style backing (the original vocals are pre-recorded). The brain-child of Chris ‘Shippo’ Shipton and prolific reggae guitarist Chris Campbell, The Ship-Tones merges the ideas, riffs and structures of the original compositions and creates a whole new cross-over with a true live band feel. We are working on their debut album but unfortunately we can't tell you much more at the moment but keep checking for updates.